MACOMB – State Representative Norine Hammond (R-Macomb) announces she is thankful Governor Rauner has announced restoration of FY 15 funding cuts to the Illinois Department of Human Services and Illinois Department of Public Health effecting programs like the Autism Program, epilepsy funding, and funding for indigent burials. The FY 15 budget signed last year by Governor Quinn contained a $1.6 billion deficit, which necessitated a budget fix this Spring to fund the remainder of the fiscal year which ends in June. On April 3, the Governor’s Office of Management and Budget released a list of grant suspensions and reserves totaling $26 million. Due to revised estimates issued by the Commission on Government Forecasting and Accountability (COGFA), the State of Illinois now anticipates an additional one-time $300-500 million in revenue for last year. This allowed the Governor to provide relief on some of the cuts and reserves made several weeks ago. “As a member of the Human Services Committee in the House, I have seen firsthand the value of these programs,” said Rep. Hammond from Springfield on Thursday. 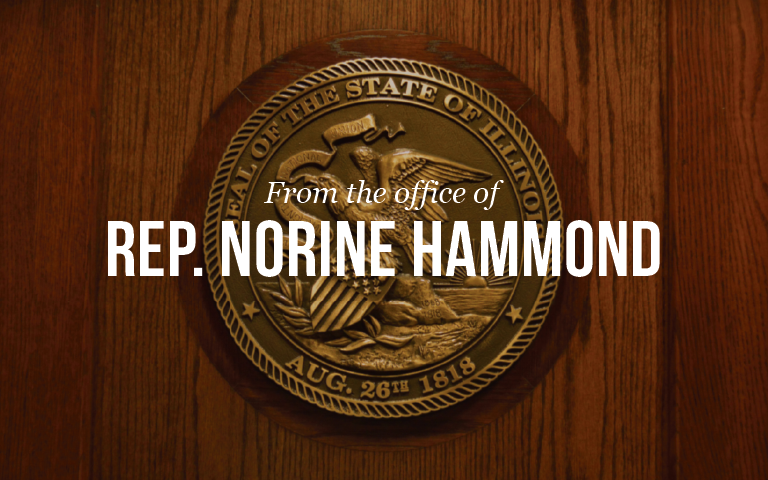 “Nobody wanted to see these cuts and I am thankful to Governor Rauner for committing this additional, unplanned revenue to restore funding to these important programs for Illinois families,” continued Rep. Hammond.